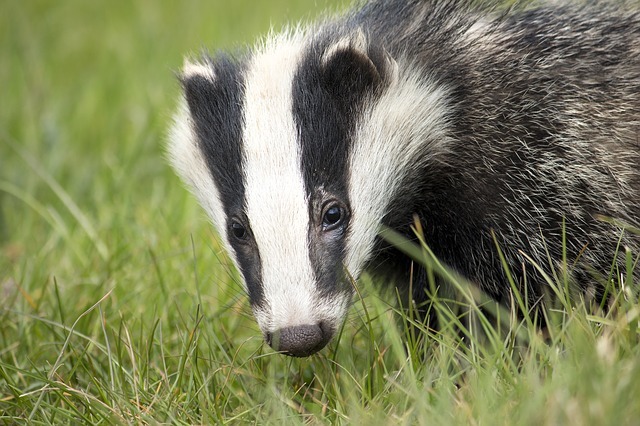 The UK government’s policy of culling badgers as part of tackling bovine tuberculosis (bTB) was debated in parliament for a second time on 27 March 2017 (Transcript/Video). What was striking about this debate, as well as its predecessor on 7 September 2016, was its ineffectiveness in informing or influencing. Much heartfelt opinion and many purported facts were aired, and there is some value in bringing the issue to the public attention again, but I doubt anyone changed their mind, certainly not the government. So, on one side, the progressives promoted the rights of animals. While, on the other side, the regressives maintained their dominion. If it were true, the argument would equally justify culling humans. But factually it is easily dismantled. I commend my hon. Friend for putting some of the facts about wildlife on the record. He is right about the reduction in some of our bird and mammal species, such as the hedgehog. Will the hon. Gentleman be kind enough to cite the source of the evidence he just supported? However, there is little point in parsing the statements of those with an opposing worldview. By picking over the detail we accept the premise of their perspective – “the dominionist, anthropocentric, speciesist, theocratic, and geocentric worldview of Western society.” For them, humans are superior to other life, while more and more of us see all living individuals and communities as equal with inherent rights. Is there any benefit from such debate? When new information conflicts with our beliefs, what happens? We would like to consider ourselves open-minded, welcoming of challenge, accepting of change, considered but flexible in our understanding of the world. Actually, we find conflicting information psychologically uncomfortable and seek the easiest route to resolve it. Last year I asked my omnivorous sister, who found the smell of beans revolting, how she felt about current advice that we should cut down our meat intake. She replied, “the fear.” That’s cognitive dissonance: utter discomfort at the incompatibility of new information with your beliefs and behaviours. Last month I spotted her happily munching a bean salad. Unconsciously something had shifted; it just took time. If natural forces hamper our crop monocultures, why must they be obliterated? Perhaps our agricultural practices are unnatural, inefficient and even wrong. Why always the combative approach to nature? We frequently protest against the treatment of wildlife in other countries—orcas and dolphins in Japan, whales in Iceland, Elephants’ ivory in China, Pangolins in Indonesia, etc. What do other countries criticise us for? I would hope the badger cull. The European way of life, or—more accurately—way of death has been to obliterate other animal populations in order to use their bodies for food, clothing, medicine, fuel, and when those reasons fall short we call it sport. We call this success. But more and more of us realise what we’ve really achieved – and lost. This is not about the way we kill badgers. Any way communities are killed is genocide. We don’t shoot people who are unwell or who may be unwell to stop them infecting others. The problem is, and always has been, monoculture. Find another way. The dairy industry’s days are numbered anyway. Forcefully impregnating animals in order to take milk away from the resulting offspring is monstrous. We had accepted this as ‘normal’ and even necessary, but more and more of us are challenging this conditioning. “A good story, well told, is more memorable and more convincing than any amount of data.” For an excellent example, see Simon Amstell’s mockumentary Carnage. Let’s stop waiting for everyone to interpret ‘the science’ the same way and start asserting our worldview. This article is also published at Wildlife Articles. This entry was tagged badger, badger cull, bovine tuberculosis, bTB, cognitive dissonance, conservation, ecopsychology, environment, ethical, ethics, nature, non-human rights, rights of nature, UK, wildlife. Bookmark the permalink.